Passes are not included in the caravan rental price but can be purchased from Bunn Leisure on arrival. There is a £50.00 refundable breakages deposit added to the cost of your booking depending on the length of your stay, to cover any damage/breakages and this will be refunded to you within 7 working days of your departure provided there is no damage. Any refundable deposits taken will be confirmed by email. Any smoking within the caravan will result in the loss of the £50 refundable breakages deposit. If the full payment for the holiday has not been made before 6 weeks of the holiday commencement date, the £50 refundable breakages deposit will be forfeited and the dates will then become available on the website. Complete refurbishment new carpets, kitchen floor, electric fire, blinds and new bedding throughout the caravan ! The Bunn Leisure site is made up of 3 parks with amazing facilities to keep the whole family entertained. Indoor swimming pools with a lazy river and water slides, gym, funfair, go-karts, crazy golf, indoor arcades and daily/nightly entertainment, there are also several restaurants and bars. Entertainment passes are bought separately which will give you access to all three parks but if you do not want to buy the passes you can still access the restaurants/bars and arcades. The caravan is situated on the West Sands Caravan park and is a two minute walk ( 500 yards ) from the beach and the Embassy club. Free courtesy bus and the Bunni express to all areas of Bunn Leisure (bus stop is 50 yards from the caravan). Additional Info: Free bunni express and courtesy bus, bus stop outside the caravan. Thank you for taking the time to leave us a lovely review and we are so glad that you continue to enjoy Selsey and our caravan. Lovely little caravan great location,fully equipped,WiFi always a bonus the owner Rodger couldn’t do enough for you and made the booking so easy will definitely be booking again 10/10 first class management and caravan ???? Thank you very much for your kind and lovely review. We are glad that you liked the caravan and the facilities. Kind regards Roger. Beautiful van in a very quiet location. Easily accessible. Excellent owner who could not do enough to help! Boiler instead of hot water tank, which meant we had constant heating/hot water. 2 Bathrooms so no arguing. Lots of space to chill and eat. Lots of parking next to the van. Definitely coming back and would recommend to anybody. 10/10! Thank Roger! Excellent value for money holiday. Roger was very helpful and efficiently answered or resolved any concerns that arose. Walking distance to beach and facilities on site. Loved the cuddle chair after hours of walking this was my chill zone. Good walks for me and my dog. Bonus having decking to sit outside or for the dog to roam sagely. Caravan fully equipped in the kitchen. Also had dvds games and books to read if needed. Highly recommended. Thank you for your review, and I am glad you had a good time in Selsey and liked the caravan. Kind regards Roger. I had a short break weekend with my wife here we quite enjoyed our stay. Unfortunately Weather was not on our side but that could not be helped. From the point of contact was the owner communication was very good in actual fact excellent prompt responses on any questions or emails raised and I’d like to thank me owner for that. 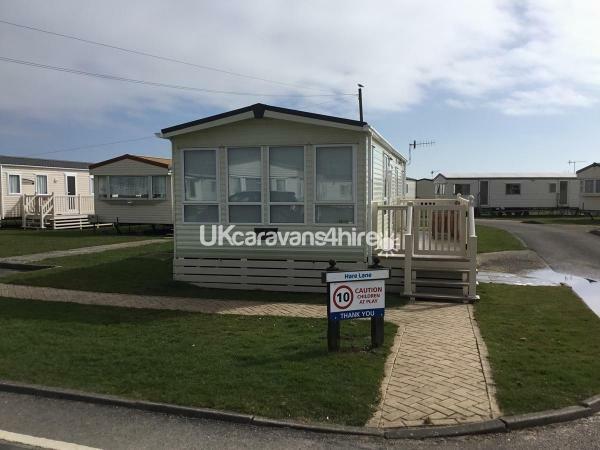 Caravan at self very pleasant well situated close to the facilities for the clubs food beverages centres all Within nice easy walking distance also close to the beach. Upon arrival at Bunn Leisure staff going to present creating making us feel welcome and gave us a key good directions to where the unit was when living nice easy walking distance also close to the beach. Upon arrival of Bunn Leisure staff gave a pleasant greeting making us feel welcome and gave us a key good directions to where the unit was would I return I would yes and have retained site for future use. We enjoyed our stay and yes We would stay again. Thank you for taking the time to leave a review, and I am so glad you enjoyed your stay at the caravan. We have just got back from a week in Roger and Emma's caravan this is the third time this year we have stated in there can and I must say it the best can we have ever stayed in nothing is too much trouble if you have any problems they get straight on to it and sort it out and it is always clean and has everything you will ever need it is very cosy for chilly nights and lovely for warm days to sit out on the veranda and chill out we have already booked for next year and would not go to anyone else as this is the perfect caravan for us thanks so much for a relaxing week away . Thank you so much for your kind review and we are so glad that you like our caravan and thank you for always using us. kind regards Roger. Thank you for taking the time to leave us a review and we are so glad that you enjoyed the caravan, Kind Regards Roger. 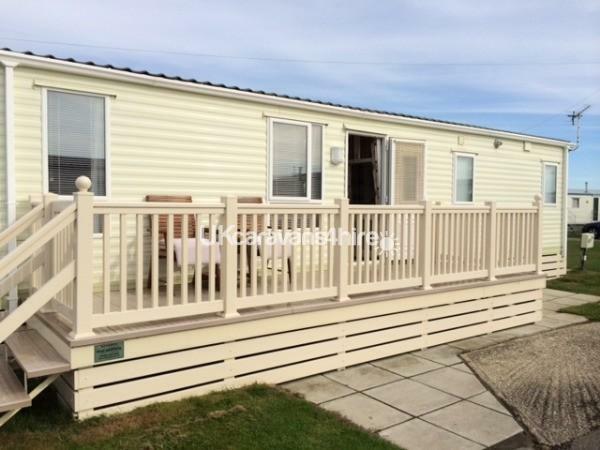 Beautiful well equiped caravan very clean in a good position on a well maintained site. Our two little dogs loved sitting out on.the verander in the sun. Excellent value for money. Booking the caravan was easy Roger was very helpfull before and after the booking with any of our questions. We would definitely recommend Rogers caravan and would have no hesitation in booking again should we decide to return to this part of the country. Thank you so much for your lovely review and we are so glad you enjoyed your time in Selsey and liked the caravan. Perfect ! caravan had everything & more then what we expected and very good value for money for high season . Roger also very quick at sorting any issues that could arise . Thanks again roger for renting to us will definately get in touch again if we chose to go to bunn leisure in the future . Thank you so much for your lovely review and we are so glad you liked the caravan and Bunn Leisure, we hope to see you again. kind regards Roger. The service we received up to our stay was fantastic. After not much. Apparently we broke a soap dish which means that because the maintenance men had to come out and fix the toilet ( because it had been blocked for some time) we had to pay the call our charge and lose our Deposit. Also the bed in the main bedroom is too hard to sleep on and I love a hard bed. We gave up after the first night and attempted the bed setee but because of the cuddle chair it won’t pull out. It’s a shame really because even though we had an issue with bed we were going to book again for 2 weeks at the end of the year and 2/3 weeks next year but after being charged for fixing a leaking toilet I have booked elsewhere on the site. thank you for leaving your review. I am glad you have sent this review Michelle as it gives me the opportunity to reply. When you booked your holiday you were sent a complete booking form plus a cover letter regarding the refundable breakages damages deposit. When you arrived at our caravan the caravan was spotless and nothing was broken. After 2 days of you being in the caravan the toilet was broken which cost me £48 to fix, this was not broken or leaking before you arrived, and the soap dish was smashed and cleaned up to some extent but my cleaner had to clean up all little broken fragments in the bathroom that were left behind once you left as she notified me straight away, not to mention that every window in the caravan was left wide open when you left. You then tried to blame Bunn Leisure maintenance team for breaking the soap dish then went on to blame my cleaner who I trust 100 percent. I have sent you numerous emails regarding this. It has cost me personally more than your £50 refundable deposit. Thank you for taking the time to leave your review. I find it a little upsetting that you rated the value for money as an 8, as the cost of the weekend your were there was only a 1/3 rd of the price of Bunn Leisure, and you actually had 5 guests in the caravan when only 4 were on the booking forms, but I am am glad you enjoyed your stay in the caravan. Thank you Tom, for you lovely review and am so glad you had a great time and liked the caravan. Just spent a week at Rogers caravan, the caravan was very clean and well equipped, everything you would need. Great location for the facilities and the beach, lovely walks with our dog. Booking of the caravan was very easy and Roger was very helpful with the booking process. The only thing we found was that the bed in the master bedroom had a hard mattress but this didn't stop us enjoying our stay there! Would definitely recommend Rogers caravan for a stay at West Sands Caravan park Carol and John. Thank you for your review, and we are so glad you enjoyed your holiday in Selsey. I am sorry to hear that the mattress in the main bedroom was not to your liking, but really glad that you enjoyed your stay at Bunn Leisure. Roger. Thank you so much for your review, and am so glad you keep enjoying your holiday in our caravan. Roger. Thank you for your kind review, I am glad you really enjoyed the caravan and west sands. Thank you for your lovely review and I am glad you enjoyed the caravan and the facilities of Bunn Leisure. The caravan was really clean throughout. The level of equipment inside was first class. Located not far from the beach ,shop, bar and arcade. In summary it was first class and would recommend. Thank you. Thank you very much for your lovely review and we are so glad you enjoyed your stay in the caravan and it was everything that you expected. Just got back from a week away and the first time staying in this caravan and wow what can I say the best caravan we have stayed in very clean and comfortable great location on the park had a couple of problems on arrival but we're dealt with very easily and quickly by Emma already have booked to return in June and October and can't wait to return to this beautiful van. Thanks so much Roger and Emma. Thank you so much for taking the time to leave us a review and we are so glad to here that you had a great time in Selsey and thank you also for making two more bookings for later in the year with us Kind regards Roger. Just came back from staying in this caravan and it was lovely, Only downside was the double bed was to hard so I had to sleep in other bedroom, really clean everywhere apart from carpets which had a lot of white dog hair all over but I found Hoover which was a bonus. Kids Love the massive round chair. Amazing communication with Roger. The site and beach was lovely and clean. We will definitely be coming back. Thank you onces again Roger. Hi Gemma, Thank you for taking the time to leave a review. I am sorry that you found the bed to hard for you, and had to sleep in the other bedroom but these beds have been the same for the last year, and I have never had any complaints before regarding this, and I will look into it. Regarding the dog hairs I have been in contact with my cleaner, and she was not well and an emergency cleaner had to go to do the clean on the morning of your arrival, and all I can say is that I am really sorry that it was not up to standard. It does say on the letter that was sent to you, that if there are any problems at all when you arrive at the caravan, to contact me as soon as possible so that any problems can be corrected straight away, and the first time I have been made aware of this, is when you have left your review. Thank you very much for using our caravan. Roger. We have be going to West Sands for many years and this is our 4th year in Roger’s caravan. Lovely accommodation with everything provided. It is extremely well located for all the amenities of the site as well as the dog walking park and the beach. Thanks again Roger. Thank you so much for your lovely comments and we are really glad you continue to go to Selsey and rent our caravan. Thanks again Roger. This is the second time we have stayed at this caravan and I have to say, this time was better than the first. The whole caravan has been refurbished through out with new carpets blinds and bedding and was again spotlessly clean. It really is a home from home with everything you could need and the two WC's and Wifi throughout are an added bonus. My daughter and I loved cuddling up on the snuggle chair in the evening in front of the warm fire. Roger the owner was very helpful and answered my emails almost straight away and even went to the trouble of arranging an early key collection so we could start enjoying our break early, thank you. Thank you again for an amazing stress free break, we are already trying to arrange another visit back to your beautiful caravan. thank you so much for leaving your review and I am glad you enjoyed the caravan. A very comfortable and well equipped caravan. Although it was November we stayed nice and warm. Cleanliness was excellent too. Roger and Emma are lovely helpful people. Highly recommended! Thank you for taking the time to leave us a lovely review, and we are so glad you liked Selsey and enjoyed the caravan. Roger. Third time we have stayed here every thing you need and extra great customer service from the owners Roger and Emma look forward to booking next year. Thank you Caroline for your lovely review, it is a pleasure to have clients like you and thank you so much for coming back time and time again to our caravan. thank you so much for your lovely review and I am glad you enjoyed your stay again. Hi Jackie Thank you for your kind and really lovely review, it is really pleasing to here that you like the caravan and thank you for booking next year already. 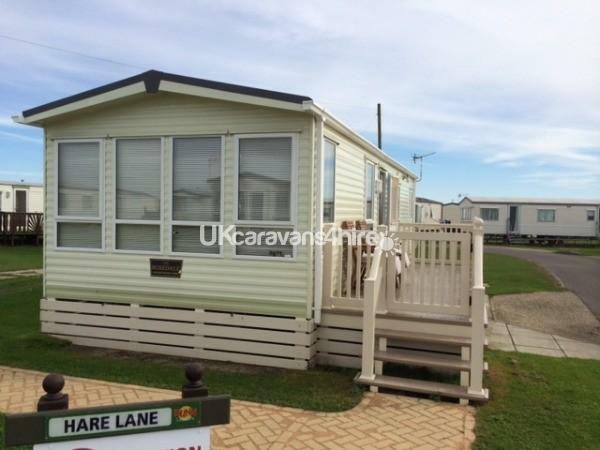 Lovely caravan, very spacious, clean and Morden. A bonus to have two WC's. Lovely site lots of good walks for the dog. Beach very clean. Would highly recommend staying here again. Thank you Roger. Thank you for your kind review and we are glad you enjoyed your holiday in Bunn Leisure. I used to visit west sands when I was younger with my family and loved it, after having not been for many years I wanted to take my 6 month old daughter there on her first holiday. The site is as I remember very clean and they have everything on site you need, plenty of food choices, arcades and a large swimming pool that we found a little cold but we still had fun. The caravan from Roger was very clean and safe for our little one, we all had a lovely time, my little one loved the big cuddle chair as she could sit on it safely surrounded by all of her toys. We all had a fab time, location of the caravan is great close to facilities and the beach. Thank you Roger you have been fab and responded to emails quickly helping to organise everything, we will definitely book with you again. Hi Vicky, I am glad you had a great time in Selsey and liked the Caravan. Thank you for your lovely review. Kind regards Roger. We were very impressed with this caravan it is set in a great location with easy access to club facilities. The caravan was cleaned to a high standard and was very well equiped we didn't need for anything. There was a crack in the sink in the on suite, but it didn't impinge on the holiday as it was fixed with what felt like minutes of letting Roger know! Fantastic service and no hassle! We had a fantastic holiday the kids enjoyed every second, and it was so nice to come back from a day exploring, to a homely caravan with a decent shower and comfortable beds and sofas! We will definately be returning Thank You so much for renting us your van. Thank you for leaving a lovely review. I am so glad you liked the caravan and the facilities on offer. Thank you very much for using us and we hope to see you again soon. Roger. Very good clean holiday home, the veranda was great for getting some sun and watching the world go by. Did have a problem with the kitchen sink which Roger sorted straight away. Highly recommend, will be booking again. I am glad you enjoyed your holiday and liked the caravan thank you for you kind words. Roger. Our first time at Selsey and we all had a great time (My wife me and our two dogs)The site was immaculate and nothing was too much trouble. We had a problem with the boiler and within 25 mins it was sorted(I wish I could get that level of service at home)The caravan was clean well laid out and very comfortable with all you could ever want, supplied. The surrounding area was excellent for dog or human walks. Overall a great week away and wall agreed another visit is on the cards in the future. Thank you Roger for all your help. Good afternoon Thank you so for for your lovely review and i am glad you enjoyed your time in selsey. Thank you soo much for your lovely review and I am glad you liked the caravan and had a great time. Couldn't recommend this caravan on this site high enough.. great location, lovely inside.. and the owners couldn't be more helpful A* thank you. Thank you so much for your lovely review and I am glad you enjoyed the caravan. LOVELY HOLIDAY CARAVAN WELL EQUIPPED AND CLEAN, THE BEST WE HAVE STAYED IN ON A GOOD SITE. WOULD HIGHLY RECOMMEND,WILL DEFINITELY BE BOOKING AGAIN. This caravan is a perfect holiday home from home. With an out of season long weekend booking, we had a cosy warm stay with lots to see and do in the area. The dog had lovely walks and we all enjoyed the swimming pool complex and Selsey for shopping, restaurants, takeaways & pubs. The caravan is well equipped & probably the best I have ever stayed in. thank you so much for your kind review and I am glad you enjoyed your holiday. Best caravan we've ever stayed in, the blow heater in the living room was excellent & the nice thick curtains certainly helped.Tryed not to overuse the central heating as I know bottled gas is expensive.Very comfortable seating spent a few afternoons snoozing on these after a long walk with the dog! A large bedroom (compared to most caravans) with a very comfortable double bed.The kitchen area was just right with an extra large hob , a large fridge & a separate freezer.Overall a nice relaxing holiday - wish I was still there! thank you vey kindly for your review and I am glad you enjoyed your holiday. Great caravan wifi a added bonus with two teenage boys customer service was great booked already for new year and next year. Thankyou Roger and Emma. Excellent holiday as usual. Been using this caravan over the last couple of years & we always have a great holiday. Caravan is perfect & clean & in a great place on site. Always a pleasure dealing with the owners as they are so helpful & if ever a issue they will get it sorted ASAP. We will continue to book this caravan . This caravan is just like home from home with its Wifi 2 TV’s fridge and freezer full size cooker 2 WC Veranda has everything you can think of.This was our 2nd time in this caravan this time we took my brother in-law and hes wife they loved it.After the club we sat on the veranda under all the stars some nights before bed.Thank you Roger and Emma. Thank you so much for you lovely review and I am so glad you liked the caravan and west sands. This holiday home is one of the best you could rent and is provided fully equiped including a dog bowl and dvds if its raining. We had temperatures of 29 degrees and a bonus the veranda to allow the granddaughter and dog the freedom of inside or out. The grandaughter of 3 years also played in a paddling pool most afternoons. Play parks nearby and swimming pool and entertainment close by,wifi is an excellent addition for older children and adults.So much to do 1 week is not enough. I did enjoy relaxing evenings sitting outside. Roger the owner is quick and courteous to respond to any questions and all staff on the site are very helpfull. I have caravaned for over 40 years and would not hesitate to book and stay again at Selsey. This Caravan was the best equipped we have ever stayed in. It was beautifully furnished s And spotlessly clean. It was a real home from home, they have thought of everything even down to spare batteries for remote controller on T V. To name but a few. We are mature couple and took our 2 little Yorkshire Terriers. They enjoyed being able to sit out on lovely balcony. Highly Recommend a stay here. thank you very much for your review we are glad you enjoyed your stay. Thank you Roger and Emma, So pleased i booked your caravan, i had a lovely relaxing stay, luckily with nice weather. A home from home experience. A nicely furnished caravan with everything you need at hand. The decking is large and has the sun all day, perfect if your less mobile or don't fancy a walk to the beach. Well kept caravan and very clean, i advise others to book early to get the dates wanted. Thank you both for a stress free booking and a polite caring 5 star service. I will book again. Thank you very much for your lovely review and we are glad you enjoyed your stay at the caravan. We booked the caravan on a friends recommendation and we are glad we did. Great weekend and we re-iterate what others have said, we couldn't fault it in any way! It was clean, warm and fully equipped with everything you could need and there was lots of info on eating out in the local area etc. We look forward to re booking in the future, Thank you. thank you for you kind review and we are glad you enjoyed you time there. Just to say thank you for a lovely stay during the Easter half term. Caravan was very clean and tidy and well equipped. My three children had a great time and can't wait to stay again during May half term. A super caravan to stay in especially if you are the owner of a dog. You would never get a better caravan booking with Bunn Leisure direct. Had a great time and was very easy to book. Added bonus was having central heating too. Will definitely be booking again in the future. Our little dog loved it too. Thank you very much for your kind words and we are so glad you enjoyed your holiday. Absolutely lovely van. Owners were a pleasure to deal with from start to finish. I left my driving licence and bank card at the van and they sent them to me. Can't wait to book again! thank you for your nice review we are glad you enjoyed your holiday. Had a lovely relaxing weekend break . The caravan is spotlessly clean, very comfortable with a fully equipped modern kitchen. The decor is all lovey light neutral colours . It is positioned in an excellent location , 2 minute walk from the main entertainment complex . We were also able to check in at 10 a.m and Leave at 3 p.m as there were no other arrivals. Roger and Emma are lovely people to deal with . Nothing seems too much trouble . Will definitely stay again . If you are looking for a great place to stay , this caravan will not let you down . Cosy , home from home . I am really Glad you enjoyed your break, and thank you for your kind words. Thank you so much for your lovely review and I am really glad you enjoyed your holiday. Everything I could have dreamed of and more. Roger was a pleasure to do business with, from booking the caravan to helping with any queries whilst away. The caravan facilities were clean and comfortable, home from home. Everything that is needed is available. The balcony was lovely to sit on and take my 2 indoor cats on their harnesses. I have mobility issues and need to be able to park right outside, this I could do which was perfect. There was even space to put my mobility scooter and to charge easily. 2 minutes to the beach and park facilities once again made the caravan the perfect for my needs. This was a much needed break and ticked all the right boxes. I will definitely be booking again, if they will have me. Many thanks Ambrose family. Hi Roger, Just a line to thank you for the use of your high spec caravan, we really enjoyed our stay. We found it to be clean and tidy and well equipped, hope to hire it again soon. thank you very much for your review and i am glad you enjoyed your holiday. Thank you so kindly for your lovely review and I am glad you enjoyed your holiday. Had a lovely few days away in your beautiful caravan, it felt very much like home from home, if not better! Many thanks. Thanks for your review and I am glad you liked the caravan. Thank you for your lovely review and I am glad you had a great time in the caravan. This caravan is lovely. Close to the Embassy,literally 3mins thru the short cut from all the goings on. But far enough not to hear any noise. Very spacious and clean and very homely. Roger was a pleasure to deal with,always responded with any questions i had. Bunn Leisure is perfect for familys and you wont be dissapointed with this caravan. Espicially with wi fi to :-) Great time had all round. What an absolute joy this caravan was, modified to a modern contemporary style ,extremely clean and comfortable. Home from home.Took the dog ,and the balcony was such a help as we could leave the door open without worrying about losing the dog .loved the area too.Roger and Emma very helpful ,will definitely be going back. This caravan is just like home from home with its - Wifi - 2 TV’s- fridge - plus full size freezer - 2 WC - Veranda has everything you can think of. This was our 2nd time of staying on West sands 1 st time had a great caravan but smaller but this one beats it by a mile and will definitely be booking again. And roger made it so easy to book. I thoroughly recommend renting this caravan for your stay at Bunn Leisure. The site and facilities are great and has something for everyone. And Rogers prices are very fare. I just like to thank Roger and Emma for letting me and my family rent your caravan. Thank you very much for writing such a lovely review. We had a lovely stay in the caravan, was way above what we could have asked for, great for our little ones, plenty of room, and facilities were great. Caravan is in a good position, could walk to sea front and swimming pool. We had such a great time I'm already looking at booking for next year. thank you very much for taking the time to leave us a lovely review and i am glad you enjoyed your time in selsey. Excellent accommodation, clean, comfortable and spacious. Everything I needed for a stress free stay was there (including spare light bulbs and batteries). My German Shepherd " Sirius" ( the Dog Star, not from Harry Potter films! ) enjoyed relaxing on the veranda after a day running in the nature reserve and swimming in the sea. I was very impressed with on site security, always patrolling around the park, very reassuring. The staff were very friendly and helpful. The owner, Roger, was a delight to do business with. Would not hesitate to book again. Thank you so much for your review and kind words and I am glad you had a good time in Selsey. We have had such a lovely holiday at selsey. The caravan was lovely & clean &very luxurious. The owner roger was very easy to communicate with & was very helpful & let us check out later as no one was due in till later. Where the caravan is it's really nice. Perfect I cannot wait till we return in July & will continue to book with the owners.also such a spacious caravan. Overall 10 out of 10 for it all. Would highly recommend. Thank you !! thank you very much for your kind review and I am glad you enjoyed Selsey and are looking forward to your July trip ! We booked this caravan with a group of friends to go and see Billy Ocean, and we were all very pleasantly surprised about how luxurious the caravan was. It was spotlessly clean very near to all the facilities and the owner was very helpful and let us check in early and check out late. What a bonus!! Will definitely be making another booking soon. thank you very much for your review and I am glad you enjoyed your weekend away. What a lovely caravan , the best caravan we have ever stayed in , our granddaughter. Loved the round settee. The caravan even had bed for our dog, outstanding . 10 out of 10. Thank you so much for putting a lovely review regarding our caravan and I am glad you enjoyed your holiday. This van and location was worth the 250 mile drive from home. Brilliant van, great location and very helpfull owner. Home from home, and even the weather was great. Will definitrly book again. Thank you very much to the owner. Thank you very much for taking the time to write your lovely review I am glad you enjoyed your break. Thank you very much for taking the time to write your lovely review and I am glad you had a great time. Just a quick email to say thank-you very much for the rental of your caravan. Myself and my family had an amazing time, the caravan exceeded our expectations and the flexibility of the arrival and departure times was fantastic. Our daughter thoroughly enjoyed herself at all the clubs and keeps asking when can we go and see Bella Bunni again. We will definately be booking with you again, you have made our holiday truly memorable. Thanks so much for your kind and lovely review. It is a lovely caravan, it surpassed all expectations and I loved staying here. The customer service was amazing and I would definitely stay here again. Thank you very much for taking the time to write a great review. Just a quick email to say thank you for the use of your beautiful caravan, where we stayed with our two young children last weekend. The caravan was beautifully furnished and so clean, it exceeded all our expectations, and made our holiday so memorable, we will definately be making another booking with you. Thanks again. Thanks very much for taking the time to put a great review on here regarding the caravan, and I am so glad you had a great time.